This collection of letters to and from the eminent harpsichordist, scholar, and early-music pioneer Ralph Kirkpatrick provides a portrait of the musician from the beginning of his career in Paris in the 1930s to its end in the early 1980s, offering new insights into his work and scholarship. The volume contains letters from Europe to his family as well as correspondence with harpsichord makers, performers, and composers, including Nadia Boulanger, Alexander Schneider, John Kirkpatrick, Elliott Carter, Henry Cowell, John Challis, Kenneth Gilbert, Serge Koussevitzky, and Vincent Persichetti. In addition, two former students of Kirkpatrick, the guitarist Eliot Fisk and the harpsichordist Mark Kroll, write about their experiences studying with Kirkpatrick in a foreword and an afterword. Meredith Kirkpatrick is a librarian and bibliographer at Boston University and is the niece of Ralph Kirkpatrick. I thought it would be a useful project to gather in one place the publications and recordings by Ralph Kirkpatrick as well as the publications about him. I uncovered some publications by and about him that might not be generally known. I decided not to include reviews of his concerts because he played hundreds of concerts throughout the world in his fifty-year career and these were one-time events. I did, however, decide to include reviews of his books, music editions, and recordings because the books, particularly the Scarlatti biography, were so influential and because two of the books are still in print and widely used. The music editions are also still used and although most of the recordings are out of print, they are probably still being collected. Most of the publications included are in English although I have included foreign language publications when possible. I have consulted numerous databases and library catalogues for information and have looked at many of the publications listed here. For the recordings, I have had to rely, for the most part, on the information provided in databases and catalogues. I thank Richard Warren and Suzanne Eggleston Lovejoy for information they provided about the Kirkpatrick collection at the Yale Music Library. I do not claim to have compiled a comprehensive bibliography but I hope that the information provided here will be of use to those interested in the career of Ralph Kirkpatrick. Ralph Kirkpatrick, an eminent harpsichordist and scholar, was one of the most influential figures in the revival of the harpsichord in the twentieth century. He was also an important figure in the re-evaluation of baroque performance practices that began in the 1930’s and 40’s. He not only performed on the harpsichord but on the clavichord and fortepiano as well. He played the modern piano for pleasure and occasionally in performance. He was known especially for his performances of Bach and Scarlatti but he also performed and recorded music by, among others, Mozart, Rameau, Couperin, Byrd, and Purcell. He was very interested in contemporary music and played music by composers such as Henry Cowell, Walter Piston, Quincy Porter, Elliott Carter, Igor Stravinsky, and Darius Milhaud. A number of works were written specifically for him, including Carter’s Double Concerto for Harpsichord and Piano with Two Chamber Orchestras. Kirkpatrick began his career at Harvard where he was studying fine arts. The university acquired a harpsichord in 1929 and he was given the opportunity to learn how to play the instrument. In May 1930, he gave his first public harpsichord recital in Paine Hall at Harvard. After graduating in 1931, he traveled to Europe on a John Knowles Paine Fellowship. He studied with Nadia Boulanger and Wanda Landowska in Paris, with Arnold Dolmetsch in England, and with Gunther Ramin and Heinz Tiessen in Germany. In January 1933, he made his European concert debut in Berlin performing Bach’s Goldberg Variations. He also performed several concerts in Italy, including a clavichord recital in 1933 at the Florence villa of Bernard Berenson. He was a member of the faculty at the Mozarteum in Salzburg during the summers of 1933 and 1934. In April 1934, he performed Bach on the clavichord at the New Music School in New York City. This may have been the first public clavichord recital ever heard in New York City. In 1936, he was awarded a Guggenheim Fellowship to study seventeenth and eighteenth-century chamber and keyboard music in Europe. In 1938, he inaugurated a festival of baroque music at the Governor’s Palace in Williamsburg, Virginia and, for a number of years, he continued to be the adviser and principal performer in annual festivals there. In 1940, he was appointed to the music faculty at Yale University and he remained at Yale until his retirement in 1976. His pupils included distinguished harpsichordists such as William Christie, Albert Fuller, Mark Kroll, Martin Pearlman, and Fernando Valenti. In the 1940’s, he gave numerous recitals throughout the United States and Europe and he was one of the first artists invited to perform in Germany in 1948 through the sponsorship of the U.S. government’s Visiting Artist Program. He played a number of concerts in Berlin, including one with the Berlin Philharmonic, as well as a concert in Leipzig with the Gewandhaus Orchestra. While in Europe during the 1940’s, he continued his research into the life and works of Domenico Scarlatti which he had begun in the late 1930’s. He discovered descendants of Domenico Scarlatti living in Madrid and they provided him with valuable sources of information. Twelve years of research culminated in Kirkpatrick’s acclaimed biography of Scarlatti, published in 1953. In this book, he also catalogued Scarlatti’s keyboard sonatas and this catalogue has become the standard source for identification of the sonatas. In 1953, Kirkpatrick’s edition of 60 Scarlatti sonatas was published and he also recorded these sonatas for Columbia. In 1956, Deutsche Grammophon Gesellschaft, the German recording company, selected Kirkpatrick to record all of the keyboard works of Johann Sebastian Bach, with the exception of the works for organ, for its Archiv label. He recorded most of the works on the harpsichord but recorded the entire Well-Tempered Clavier on both the harpsichord and the clavichord. He finished the project in the late 1960’s and a number of the recordings were received with great acclaim, particularly the recordings of the Well-Tempered Clavier. Kirkpatrick continued to perform concerts throughout the world, playing at many of the major European festivals and performing with a number of orchestras in the United States and Europe. He was selected to perform at Alice Tully Hall at Lincoln Center shortly after its opening in 1969. He also gave a number of concerts at Lincoln Center ‘s Philharmonic Hall (now Avery Fisher Hall), including a Mozart program in which he played the harpsichord as well as the eighteenth-century and modern pianos. He became totally blind in the mid-1970’s which caused him to cut back on performances and travel, but he did continue to give concerts and learn new music. He played a recital at the first Boston Early Music Festival in 1981 that commemorated the 51st anniversary of his first public concert. In addition to being an extraordinarily accomplished musician, Kirkpatrick was fluent in French, German, and Italian and read widely in these languages. He used his knowledge of Spanish and Portuguese to translate documents for his biography of Scarlatti. He was also a collector of books and prints and his house was filled with works by artists such as Durer and Rembrandt. After Kirkpatrick died in 1984 at the age of 72, his art collection was given to the Yale University Art Gallery. The Gallery mounted a special exhibition of these works in 1985. Kirkpatrick’s papers were bequeathed to the Music Library at Yale University. According to the library, they include over one hundred 20th-century works for harpsichord, many either dedicated to or commissioned by Kirkpatrick. They also include source materials, notes, and correspondence related to the various editions and translations of his biography of Domenico Scarlatti. Reflections of an American Harpsichordist: Unpublished Memoirs, Essays, and Lectures of Ralph Kirkpatrick. Edited by Meredith Kirkpatrick. 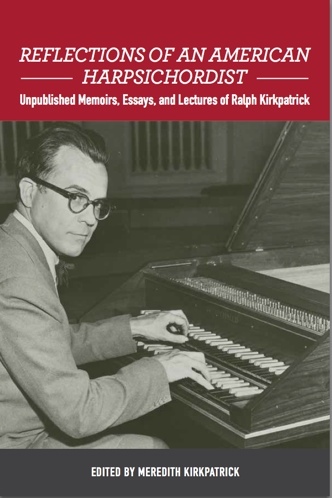 This collection of writings by the eminent harpsichordist and scholar Ralph Kirkpatrick contains his memoirs for the period 1933-77 and essays on a variety of topics, including his preparation for the first performance of Elliott Carter's Double Concerto, thoughts on editing Bach's Goldberg Variations, and reflections on performance, recording, chamber music, and harpsichords and their transport. The volume also contains five lectures from a Yale University lecture series presented between 1969 and 1971. 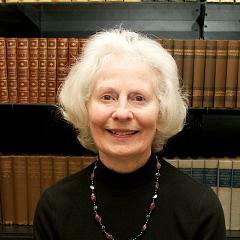 Meredith Kirkpatrick is a librarian and bibliographer at Boston University and is the niece of Ralph Kirkpatrick.